A fragment of the chalk bowl from the Hasmonean period, which is engraved with the name “Hyrcanus”. A fragment of the chalk bowl from the Hasmonean period, which is engraved with the name “Hyrcanus”. Photographic credit: Clara Amit, Israel Antiquities Authority. 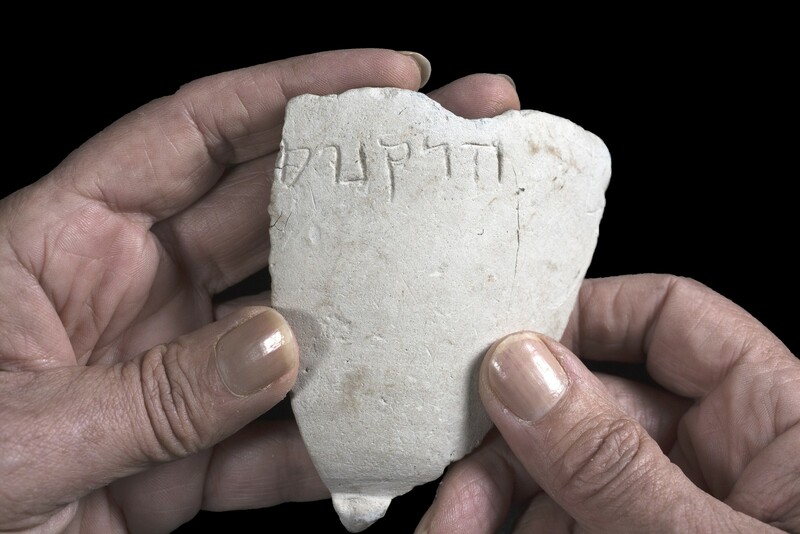 The Israel Antiquities Authority announced the discovery of an approximately 2100-year-old stone bowl inscribed with the name “Hyrcanus” in Hebrew, in the excavation area of the Giv?ati Parking Lot at the City of David. “These stone vessels were extensively used by Jews because they were considered vessels that cannot become ritually unclean,” they explained. The bowl was discovered during an archaeological excavation beneath the foundations of a mikve dating to the Hasmonean period, which was part of a complex of water installations that were used for ritual bathing. The Hasmonean Dynasty, which lasted almost 80 years (142 BCE – 63 BCE), began following the Jewish revolt in 332 BCE following a series of anti-Jewish legislation by the Syrian-based Seleucids, part of the Empire of Alexander the Great, who ruled Jerusalem at the time. Jewish tradition marks the revolt during the festival of Hanukkah, which begins this year on December 24. The bowl was found a short distance from where the remains of the Akra, a Greek (Seleucid) fortress, were discovered in the same parking lot at the City of David a year ago. The Akra was built by Seleucid King Antiochus IV Epiphanes in order to control the city and monitor the activity in the Second Temple, which was eventually conquered by the Hasmoneans. According to the researchers, it remains difficult to ascertain which “Hyrcanus” the engraving on the bowl refers to due to a sparse archaeological record of vessels from that period of time. They said they cannot determine with precision whether the engraving was a routine act performed by a common person or a tribute to one of the famous leaders named Hyrcanus of that period. “The name Hyrcanus was fairly common in the Hasmonean period,” say Dr. Ben-Ami and Prof. Eshel.